That’s the note seventeen-year-old Haley Cooke leaves behind when she disappears from inside her high school. FBI profiler Evelyn Baine is called in to figure out who had reason to hurt her. On the surface, the popular cheerleader has no enemies, but as Evelyn digs deeper, she discovers that everyone close to Haley has something to hide. Everyone from estranged parents to an older boyfriend with questionable connections to a best friend who envies Haley’s life. One of those secrets may have gotten Haley killed. If she’s still alive, Evelyn knows that the more the investigation ramps up, the more pressure they could be putting on her kidnapper to make her disappear for good. It’s also possible that Haley isn’t in danger at all, but has skillfully manipulated everyone and staged her own disappearance. Only one thing is certain: uncovering Haley’s fate could be dangerous—even deadly—to Evelyn herself. Critically acclaimed and award-winning author ELIZABETH HEITER likes her suspense to feature strong heroines, chilling villains, psychological twists, and a little bit (or a lot!) of romance. Her research has taken her into the minds of serial killers, through murder investigations, and onto the FBI Academy’s shooting range. Her novels have been published in more than a dozen countries and translated into eight languages; they've also been shortlisted for the Daphne Du Maurier award, the National Readers' Choice award and the Booksellers' Best award and won the RT Reviewers' Choice award. HANK PHILLIPPI RYAN: When I was, oh, eight, I used to read Photoplay (anyone, anyone?) and look at photos of movie stars. Back then (imagine old woman voice) you could send in for eight-by-tens glossies of the stars, and they would send them to you. Free, if you sent a stamped self-addressed manila envelope. That was irresistible to star-struck me, but I thought my own name, Harriet Ann, was not cool enough to entice a movie star to send me their photo. So I made up a name. A cooler name. 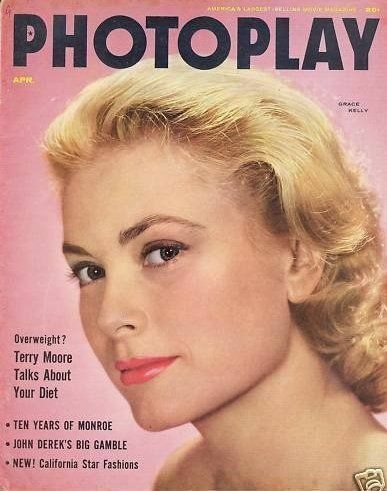 And my secret identity is the one who sent in my request to Photoplay. Time went by. Some weeks later, my mom came into my room holding a manila mailing envelope. With our number, street and city. Strangely, in my handwriting. But to someone she did not realized lived with us at 4102 North Ritter. Erica O’Rourke totally understands. 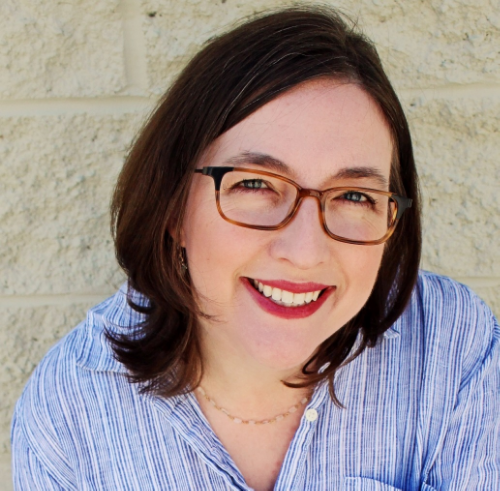 She's the award-winning author of young adult fiction, and she needed a new name too. But not to snag movie star photos. Here’s the scoop on how she handles her secret identity…and then we want to know: what would you do?. In publishing, “debut” is a big word. So big, it should be surrounded by lights, perhaps posted on a marquee. Many of the (very nice) reviews I’ve received for my new book, TIME OF DEATH, mention that it’s a debut. And technically, it is. TIME OF DEATH is Lucy Kerr’s debut novel. What prompts a mild-mannered suburban mom to take on a secret identity? The first reason is practical: Lucy and Erica write different books. Erica writes young adult books with a strong element of magic or science fiction, and an equally strong romantic bent. Lucy’s books are traditional adult mysteries. My teen readers know what to expect when they pick up a book with my name on it—and it’s not a thirty-two-year-old emergency room nurse who solves mysteries. The same applies to my adult readers: picking up paranormal romance when they’re expecting an amateur sleuth mystery might be an unwelcome surprise. Using different names for such different genres means my readers can easily find the types of books they’re interested in. The second is psychological. When I sit down to write a Lucy book, my writing process is different, my authorial voice is different, my entire attitude changes. If you’re a crafter, maybe this will make sense: imagine knitting a sweater, and then crocheting one. Both times, you start with yarn and end up with clothing. But the stitches, the tools, and the directions are distinct. Even the way you hold the yarn changes. (Admittedly, I don’t enjoy crochet. This metaphor only works so far.) Using a pen name actually helps me shift my thinking as I write—it’s an outward symbol, but it still seems to reset my brain. The other question my friends had, of course, was how I’d make the switch, particularly in cyberspace. Would Erica and Lucy have separate webpages? Twitter accounts? Facebook pages? I had a new author picture taken—one that was considerably sunnier than my very dramatic young adult picture. I made sure LucyKerrBooks.com connected to EricaORourke.com. The result: Lucy Kerr and Erica O’Rourke peacefully coexist on the Internet and in my office. Unlike Batman and Bruce Wayne, you’ll often see us in the same room. And in the end, it doesn’t feel odd to have two writing names, because the stories I write and my connection to my readers doesn’t change, no matter what they call me. The last question I get is a simple one: How’d I land on Lucy Kerr? I wish I had some sort of fancy story, but in fact, I went with old family names—and my grandfather’s love of Lucille Ball, which my children seem to have inherited, made Lucy the obvious choice. If you could create a secret identity for yourself, who or what would you turn to for inspiration? HANK: And what name would you choose? Lucy Kerr is the pen name of Erica O'Rourke, an award-winning author of young adult fiction. 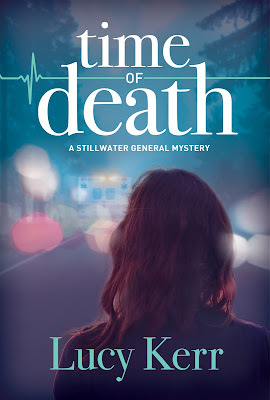 Her debut adult mystery, TIME OF DEATH, launched with Crooked Lane Books on December 13, 2016. Lucy lives outside Chicago with her family, her cat, and many, many piles of books. She likes strong coffee, rainy days, old buildings, and fresh-baked cookies -- but she likes telling stories best of all. It’s been twelve years since ER nurse Frankie Stapleton fled her hometown, but with her sister’s pregnancy taking a dangerous turn and a string of failed relationships in Chicago hanging over her, Frankie is back–and hoping to put the past behind her. Within minutes of arriving at Stillwater General Hospital however, she ends up saving a man’s life, only to have him turn up dead hours later—and the hospital blames Frankie. With her career–and future–on life support, Frankie must catch a killer, clear her name, and heal the wounds of her past. 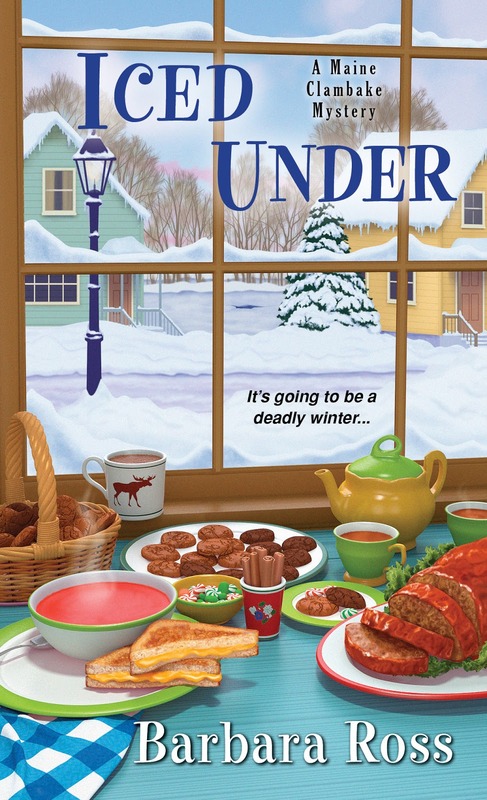 LUCY BURDETTE: Two of our favorite friends and authors are sharing a book tour this week to celebrate ICED UNDER (Barbara Ross) and CUSTOM BAKED MURDER (Liz Mugavero.) They asked if they could visit the blog and we are delighted to have them. Please note that there were no dollars or other favors exchanged for this post! 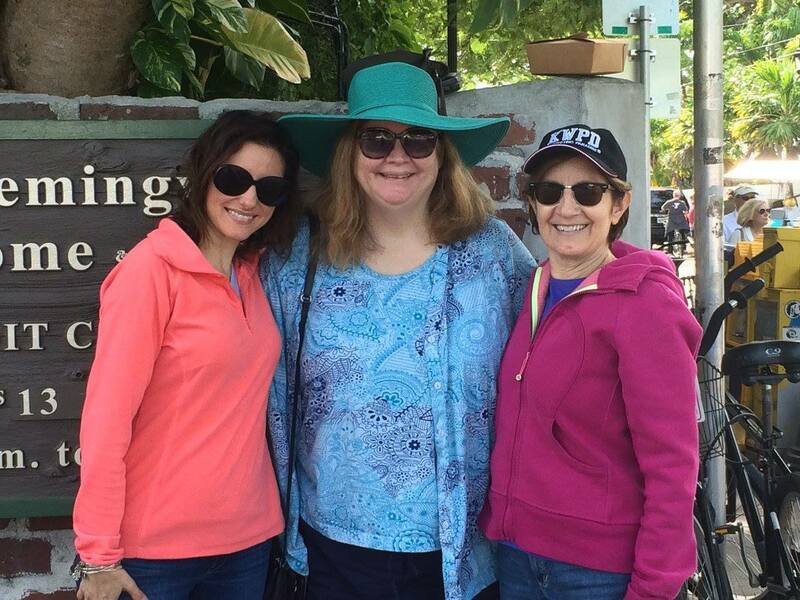 Welcome Barb and Liz! Barbara Ross and Liz Mugavero are doing their blog tour together for their fifth books in their respective series: Iced Under, a Maine Clambake Mystery, for Barb and Custom Baked Murder, for Liz. Recently, they got together to have a conversation about a favorite topic—the Jungle Reds. Barb: Hi Liz. It’s so great to be back with the Jungle Reds. Not just because we love the blog, but also because the Reds have had such profound effects on our writing lives. On our personal lives as well. So many writers talk about the Reds’ generosity, but today we thought we’d get into specifics. Let’s start with Lucy. Liz, you and Lucy share a home state, Connecticut. Tell me about one interaction with Lucy and what it meant. Liz: I’m so happy to be back here! 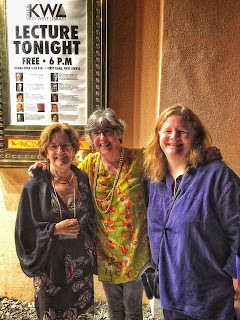 I have to go back to the first time I met Lucy, at the Seascape Writers Retreat. A wonderful weekend on the water in Madison where I met fabulous people, worked at my craft, and learned a ton (from Hallie as well!). 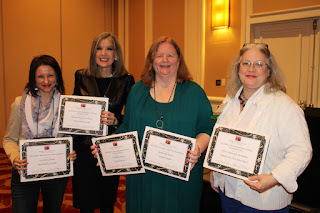 I think that weekend was the first time, after the encouragement I received, that I realized if I just kept working hard at my writing that I’d be published. It happened, and so much credit goes to these ladies. What about you? Who was the first Red you interacted with and what happened? Barb: The first Red I met was Hank, but we didn’t even realize we were meeting. 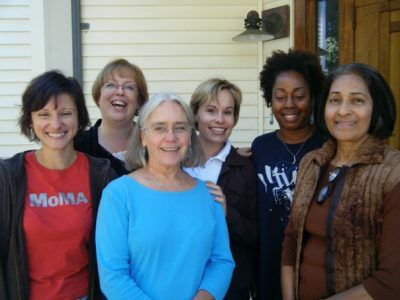 Years ago (like 20) we were in a class for beginning mystery writers at the Boston Center for Adult Education. Neither of us were published or even had a finished a manuscript. In the last class (I think there were four) we each read our opening scene. Cut to years later. I’m embarrassed to admit how many, but more than a decade. 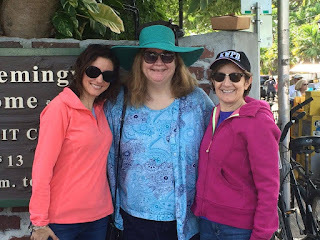 Hank is well published and we re-meet through Sisters in Crime New England. I ask her to blurb my first book, The Death of an Ambitious Woman. Hank recognizes my opening scene! She says, “Were you ever in a class at the Boston Center for Adult Education?” So funny. You mentioned Hallie. Can you recall a piece of advice Hallie gave you that was meaningful? Liz: You know, it wasn’t so much a piece of advice as it was…confidence. She had confidence in me and my writing that I wasn’t sure I had myself yet. I remember her saying to me at Seascape that I’d do it - I’d get published. Because I had the talent but more importantly, the drive. And that always stuck with me. That someone like Hallie Ephron had that much faith in me! I do remember her also having no patience for weak characters, be it men or women. She would be the first to point out any displays of wussiness. I definitely carried that reminder with me as I created Stan. I wanted her to be able to stand on her own two feet, be financially stable, and most of all, smart. Do you know any other Reds personally? Barb: Yes! Julia Spencer-Fleming. 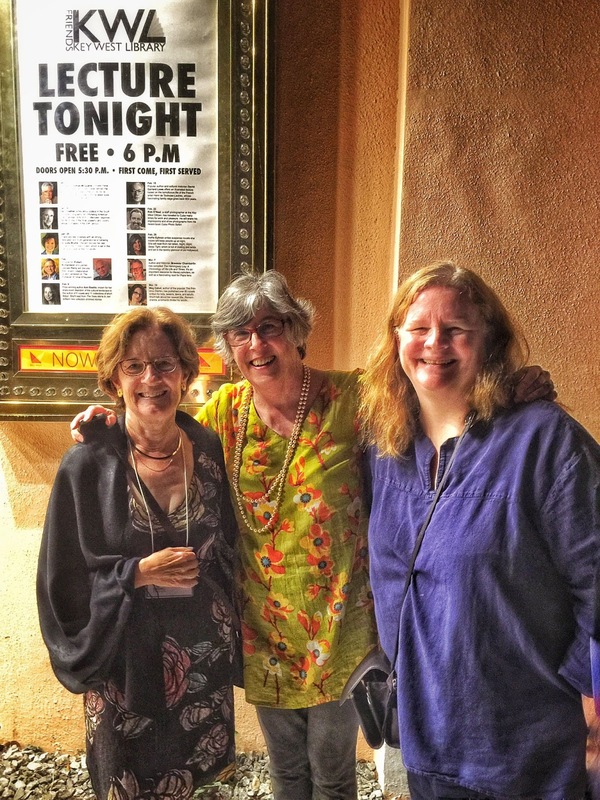 Since I spend the summer in Maine, and Julia lives in Maine, I get to see her on the Maine writers’ circuit. In fact, we both read at a pub in Portland a few weeks ago. Both Julia and her husband, Ross, have been wonderfully supportive of me as a newcomer. And I am a huge, huge (like buy it in hardcover the first day level) fan. Julia, Hank and I (along with Gin Malliet) all had our books nominated for the Agatha Award for Best Contemporary novel in 2014. I don’t really “know” any of the non-New England Reds, except what I read here. I have long been a huge fan of Deb Crombie’s. I think she and I shared an agent years ago and I called her for a reference. (Or maybe I dreamed it. It was that long ago, back with the book that Hank…) I’ve met Rhys at conferences and am always a little tongue-tied. She’s such an amazing writer. But now that I’ve made the muffin tin-sized mince pies she wrote about on the blog a few weeks ago, I’ll have something to say to her. What about you Liz? Non-New England Reds? Liz: But I don’t “know” any either, I’m afraid - we’re going to have to do something about that! Thanks so much to all you ladies for having us. It’s always a blast! Readers: Do you have a story about an interaction with a Red, either virtual or in the real world that you’d like to share? 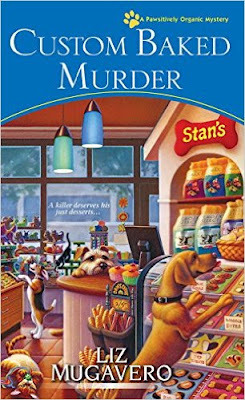 Liz Mugavero is the author of the Agatha Award-nominated Pawsitively Organic Mysteries Kneading to Die, A Biscuit, A Casket, The Icing on the Corpse and Murder Most Finicky. Custom-Baked Murder, the fifth in the series, will be released in December 2016. As you can imagine, her canine and feline rescues demand the best organic food and treats around. 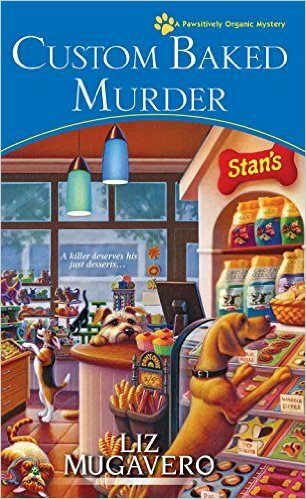 She is a member of Sisters in Crime National, Sisters in Crime New England, Mystery Writers of America, and the Cat Writers’ Association. She currently lives in Connecticut. Could You Succeed as a Private Detective?